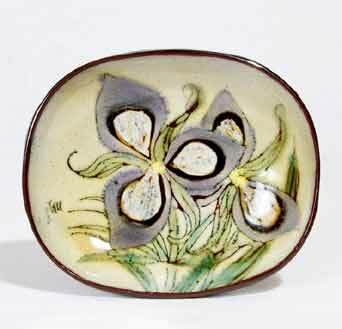 Chelsea wall dish - 5¾" (146 mm) long, 4⅞" (123 mm) wide. Many Chelsea dishes and plates had lugs for a cord to hang them on a wall. This, Joyce tells us, was for reasons of obtaining a lower rate of purchase tax.